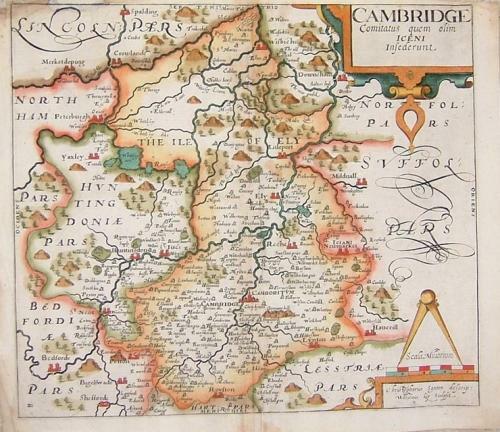 An attractive hand coloured map based on Saxton's original 1579 survey. The condition is fair: there are rust or paste marks to the reverse but no evidence on the front. Three good margins with the fourth (at the top) taper cut to very close to outline and with a 2cm area replaced. There are two pin-hole repairs in the centre fold. These repairs are accommodated in the price and the map can be placed under a mount and framed.